Our doors opened in April 2012 after Julie's many years of professional determination and studies as a Pastry Chef. We are a family run business specializing in a full line of cakes, pastries, cookies, breads and many other assorted baked goods. 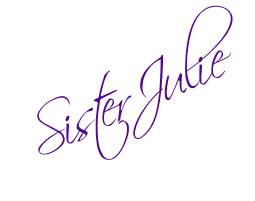 Julie is always coming up with new and exciting ways to celebrate all your special occasions or just every day fun. What would you say makes a legend? Is it photographs with the President of Ghana? Is it customers singing praises of Julie's delicious creations in the press, at homes, churches, mosques or other places of worship? Is it the endless stories being told, in the traditional Ghanaian way, about how Julie's pastries cures depression? The streets of Accra have been in no small part defined by her ongoing legacy. These extraordinary tales shall be told right here at Juliepastry.com, in the form of baked goods shared with strangers, friends, families and visitors from all around the world. Please continue shopping, or return soon to learn more about Julie's creativity and love for baking.